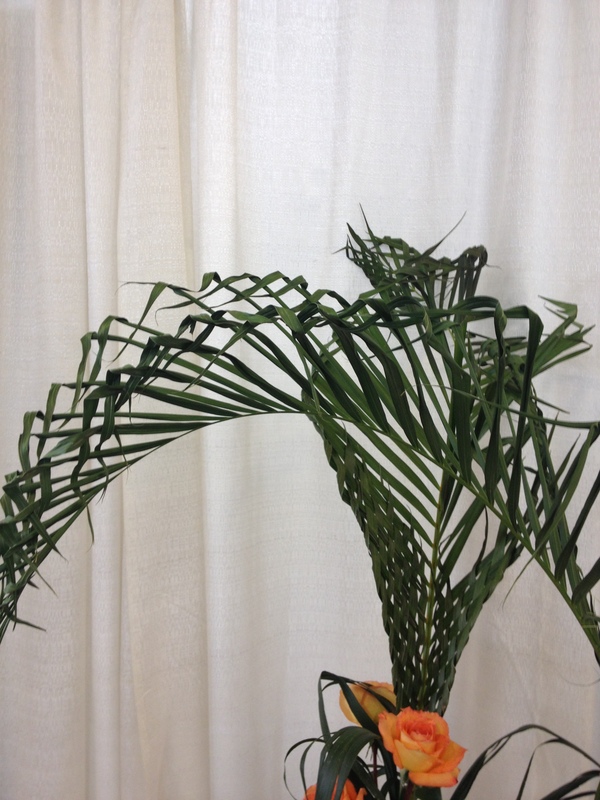 Isn’t that a beautiful Ikebana composition? It was made by an artist from The Sogetsu School in Denver, Colorado. 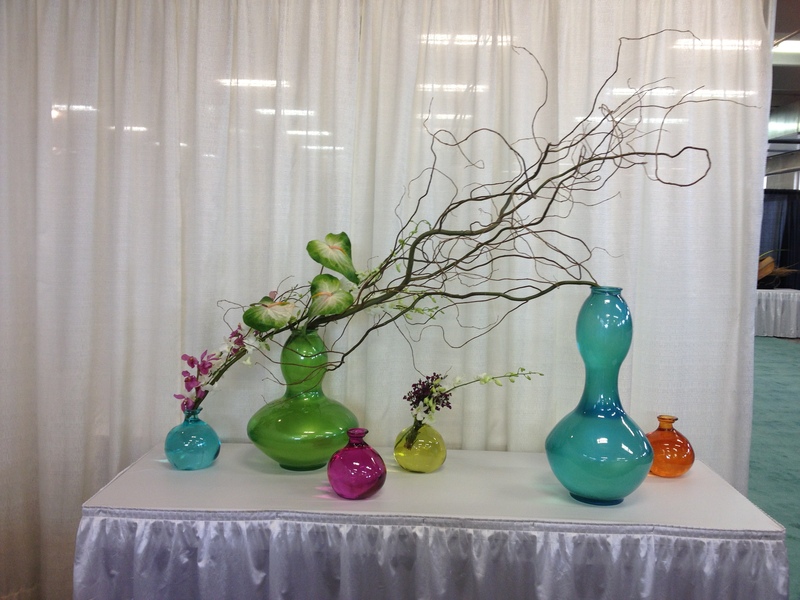 I attended a home and garden show a couple of weeks ago and there was a huge display of many, many Ikebana creations. There were also live demonstrations. This was my first exposure to this beautiful art method. During the live demonstration there was a narrator who described the process and techniques as the artist worked on their composition. Sometimes it was a pair of artists who had to work in tandem to create the piece; one holding while the other anchored or twisted stems and blooms. The narrator also spoke of the meditative quality of doing these arrangements. I was only able to spend a few minutes watching and listening to the demonstration because I was with another person who wasn’t quite as enamored of Ikebana as I was but I really enjoyed it and I plan to learn more about this ancient art form. I snapped a couple of photos of arrangements I thought were exceptional. I have been a little under the weather this week and it was a reminder to me that “if you don’t have your health, then you don’t have anything”. I wish you a healthy (and happy) Easter!